It's one of America's greatest, most time-honored backyard cookout and fast-food chain traditions. 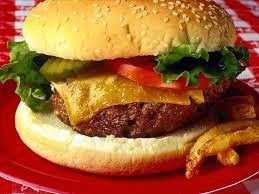 Where did this delicious delight originate?Claimants have arisen over the decades since the hamburger entered our lexicon palate-icon, each with an energetic backing. Some with historical society stamps of approval. Claiments 1-4, according to history, served steak sandwiches (meat slapped between bread). Impressed with Mr. Fletcher Davis's lunch counter, folks funded his trip to the 1904 World's Fair in St. Louis. There Uncle Fletch, as he was known in Athens, set up a stand near the midway and sold his burgers. Impressed with this new delectable, New York Tribune reporter interviewed Uncle Fletch, who explained that his fried-potato recipe came from an old friend who lived in Paris (Texas, that is). The reporter, unfamiliar with Texas towns, dubbed the side dish "French fried potatoes." McDonald's, the world largest hamburger vendor, embrace Uncle Fletch as the likely inventor. In 2006 the legislature of the great state of Texas passed a resolution recognizing Fletcher Davis, the originator of the hamburger. Just goes to show one doesn't have to be a da Vinci, Einstein, Theresa, or Gandi to make the world a better place. The Hamburger . . . it's on the menu tonight. ** How are you having yours? 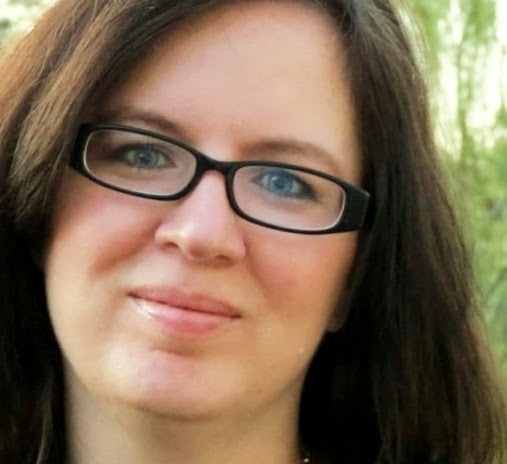 Gina Welborn wrote public service announcements for a news radio station until she fell in love with writing romances. Her Barbour novellas can be found in HIGHLAND CROSSINGS, A CASCADES CHRISTMAS, and ECPA-bestselling MISTLETOE MEMORIES. The year 2014 ushers in the release of her novels: THE HEIRESS'S COURTSHIP, THE MARSHAL'S PURSUIT, and MASTERPIECE MARRIAGE. A moderately obsessive fan of Community, Teen Wolf, and Once Upon a Time, Gina lives in Oklahoma with her pastor husband, their five Okie-Hokie children, a box-lab, fifteen rabbits, three guinea pigs, and a fancy Russian dwarf hamster named Tom Bob Deucalion. **Tonight Gina Welborn's family will be having meatloaf with a side of hash and grilled asparagus instead of hamburgers and fries. I still remember my first Big Mac. I was 12 yrs old and working as a mother's helper and the family I was working for went to McDonald's for supper. It was 1970 in Winnipeg and the Big M said over 1 million served or something like that, and when we got to the counter, the dad asked me what I wanted. I had no idea. The only time our family went out to eat was when we were taking the annual trip to see our grandparents and then we always ate at a truck and travel stop. So the dad ordered a Big Mac for me and when he handed it over, I ogled it. It was too high! How could I ever get my mouth around it? But I held on and bit into it and oh... the condiments mingled together into such divine flavors... I'm sure I closed my eyes and moaned. In 1975 I went to work for McDonalds and except for going home and smelling like grease after my shift, it was one of the jobs I look back on and smile. We eat a lot of turkey or boca burgers. Haven't had a beef hamburger in a few years. I usually make "secret sauce" but I just saw a Guy Fieri recipe for "Donkey sauce" with mayo, mustard, Worcestershire, garlic, and I can't remember what else. Definitely trying. 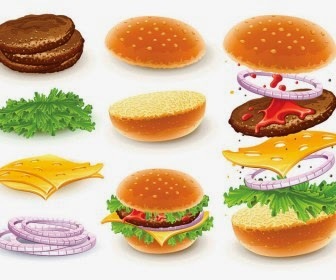 I have trouble resisting the swiss-cheese-and-mushroom burger myself. I had a craving for beef the other day and bought some ground beef on the way home. First burger in months and it was good! I could give up meat entirely if not for the need for roasted pork on New Year's, ham once a year, and the quarterly burger. We like going to Mooyah's because we can get iceburgers--burgers wrapped in iceburg lettuce instead of on buns. Yumm!